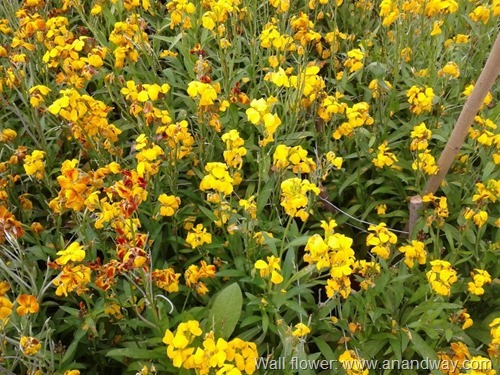 The small, scented Wall flowers or Erysimum Cheiri, grow very well in Lucknow as winter and spring seasonals. 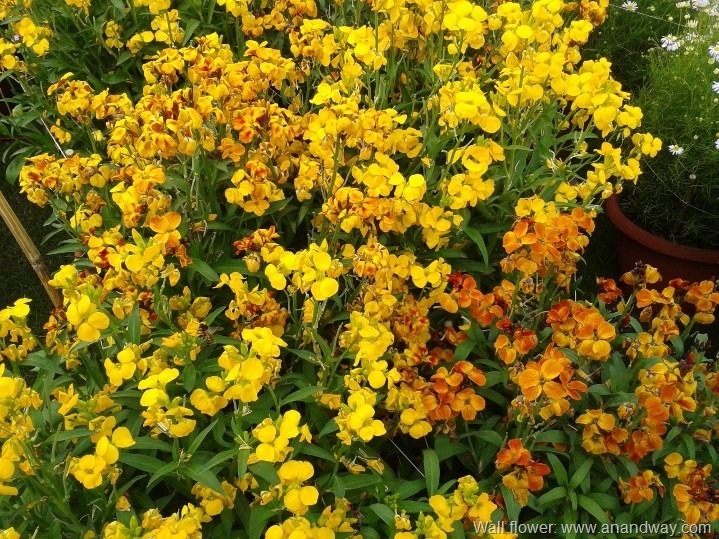 I have seen them in all shades of deep yellow and orange. Though I grow it in my rooftop garden from saplings available at the roadside nursery opposite La Martiniere Girls’ College, Lucknow, I have never grown it from seed. I love to grow them in combination with trailing nasturtiums. They grow well in pots and love lots of sunshine. They flower late into March, undaunted by the strong sun of approaching summer. I love them as much as the bees do that spend their winter afternoons on my rooftop, thanks to these glorious wall flowers, nasturtiums, narcissus, petunias, cosmos, pansies and asters. 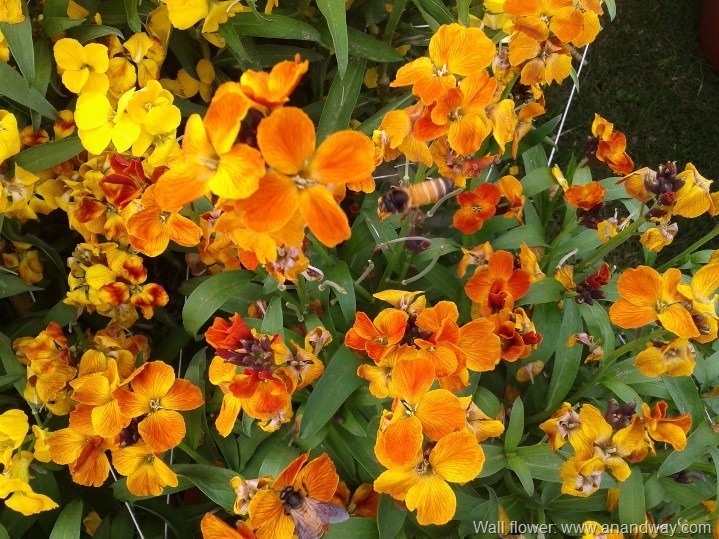 Wallflowers grow wild in cold climate countries. There are 375 genera and 3200 species of wallflowers. About 55 genera are found in North America alone. I wonder if it grows wild in the Valley of Flowers too.